Simmer broccolini in approximately 2 quarts of salted hot water for a few seconds. Add uncooked spaghetti and cook for 8 minutes. 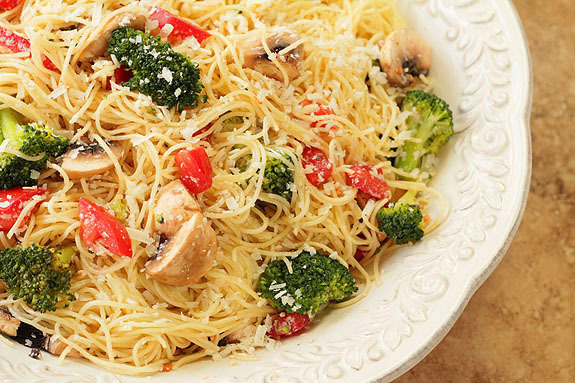 Drain broccolini and spaghetti in colander and put on top of vegetables in bowl and let it sit for a minute.